Base on specimens that were collected from Bao Loc, Lam Dong Province, in 2001, Hamalainen and Karube described this species as a new for science. Now, their distribution was reported in many localities of high land in south of the country. It is colorful and enigmatic species, a rare species but quite common locally. Males and females are similar but females are lightly duller. 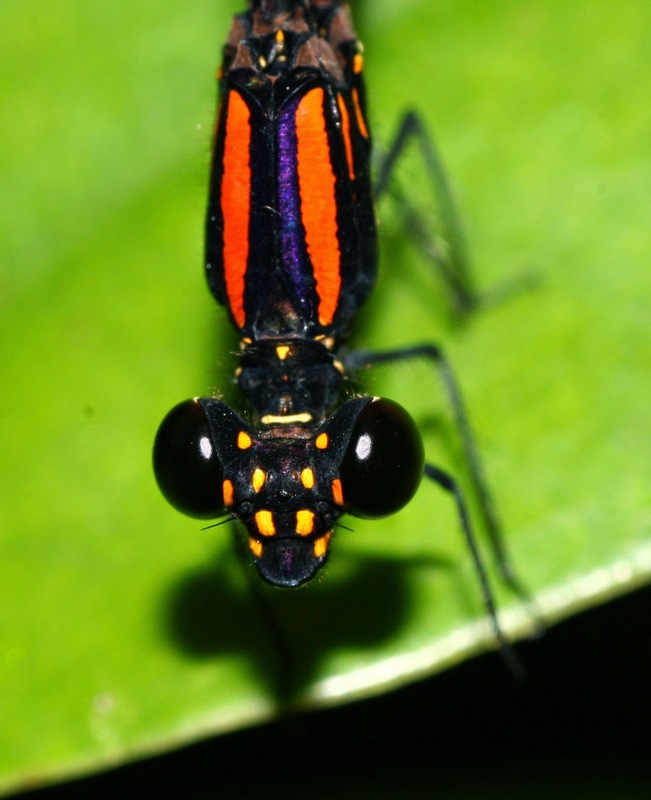 In males, the head is deep black with orange-red spots marking, the thorax dull black with dark orange-red strips on thorax on both dorsal and lateral sides. The fore wings are hyaline; each hind wing is hyaline with an apical iridescent spot. The abdomen is somehow elongate, dull black and unicolour. The species lives in pristine or lightly disturbed forests on high lands of Southern Vietnam, where the temperature is not too high and they are very humid forests. The mature forms do not fly very far from their breeding sites, so they are not so active insects. 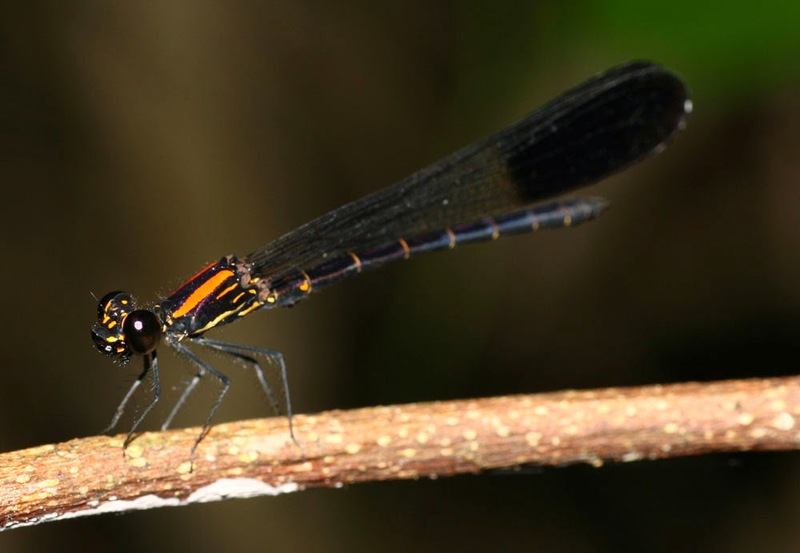 Males of this species usually perch up above the water which is muddy streams. They fly up and down and spend most of the time for perching on leafs or branches of trees above the stream. They are very sensitive to temperature and humidity of environment. They usually perched very high up to the canopy, and they got down gradually as sunlight went directly to the surface of the forest. Hiding in deep shade of the forest, they got down and perched near the stream where the humidity high enough. But immediately, after the sun was covered by clouds, they flew up to the higher positions. Their territory is very narrow area but they some time have vivid courtship daces, the male try to protect his own territory by showing to his neighbour the golden flash spots of his hind wings and the action just little above the water surface.